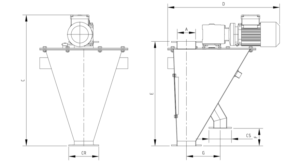 SAMPLERS – equipment for mechanically extraction of samples from a wide range of dry granular materials like mineral ore, solid biofuel, coal, brown coal, lignite, lime stone, gravel and electronic scrap. 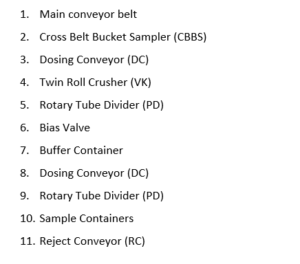 BUCKET SAMPLER – The Cross Belt Bucket Sampler (CBBS) is designed to take out a representative sample of powdered material and lumps up to 100 mm, from a free falling flow of materials. 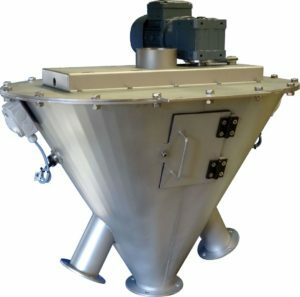 CHUTE SAMPLER FPMX – The Chute Sampler (FPMX) is designed to take out increments of non-sticky powdered material and lumps up to 40 mm, in a closed pipe system, from a free falling flow of materials and collecting these in a mixing tank for establishment of mean samples. 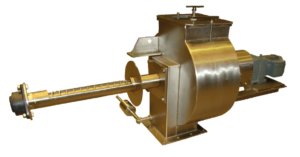 DOUBLE CHUTE SAMPLER – The Double Chute Sampler (DFP) is designed to take out increments of non-sticky powdered material and lumps up to 40 mm, from a free-falling flow of materials in a closed pipe system. 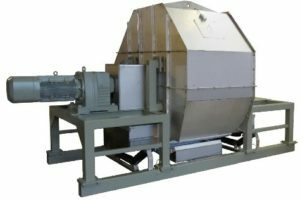 AIR SLIDE SAMPLER – The Air Slide Sampler (AS) is designed for continuous or intermittent sample extraction of dry, non-sticky powdered material flowing in air slides. 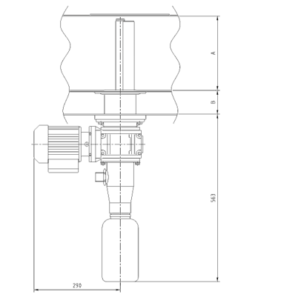 The Air Slide Sampler can be installed in any existing air slide within a couple of hours. 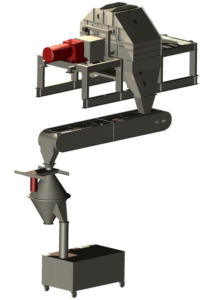 This equipment is well suited for cement, raw meal, sand and other powdery material. 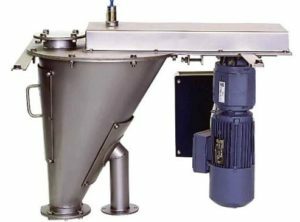 SCREW SAMPLER SCR – The Screw Sampler (SCR) is designed for sample extraction of dry, non-sticky powdered material from a free falling flow of materials. Well suited for cement, raw meal, sand and other powdery material. also means that extraction velocity automatically adapts to changes in the flow rate in the duct. 2. 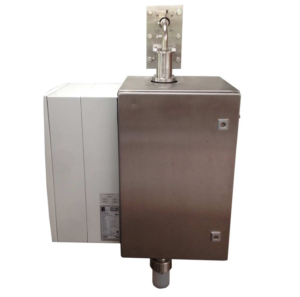 The Transducer – The measurement principle is based on the established fact that microwave transmission properties relates to the amount of unburned carbon in the ash sample. The critical electronics circuits are embedded in the transducer to obtain optimal results. 3. The Control Unit – The control unit undertakes the processing of the transducer signals and controls all functions of the individual RCA components. An operator’s control panel with display is located on the control cabinet front. 4. 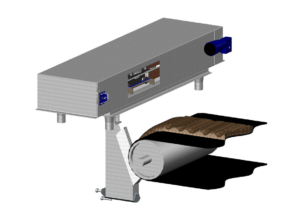 Combustion Efficiency – The RCA-MI measures the value of unburnt carbon in the fly ash. 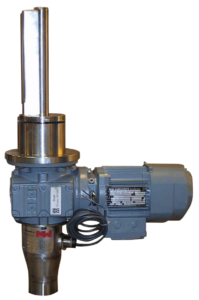 Through a constant control of these on-line measurements the operator can quickly make the necessary adjustments to the combustion process thus securing a more complete combustion of the coal and thereby reduce the environmental impact and the amount of fuel needed. 5. 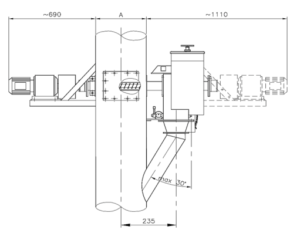 Coal Mill Performance – Any increase in the amount of unburnt carbon in the fly ash is immediately observed by the operator and makes it possible to advice on control and adjustment of the coal mills. is essential when optimizing the combustion process at coal fired power plants. The properties are identified by taking representative samples from each coal batch used at the power plant. 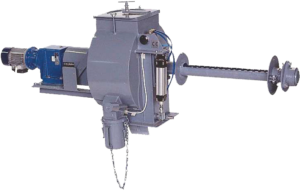 The Raw Coal Sampling System is an integrated part of the control system available to the power plant operators. The Sampling System provides the operator with the means for executing the extraction and preparation of representative samples of the coal. The Raw Coal Sampling System operates in accordance with approved international standards. Calculating the payment due for each batch of coal supplied. Adjusting the coal flow to the mills. Calculating the amount of by-products from each batch. Calculating the emissions from each batch of coal. The values n and u are adjusted upwards and recalculated to a convenient combination respecting the required minimum values.